I expected to write a strongly positive review for this book and am disappointed that I am unable to do so. The main strength of this book is its acknowledgment—in a single volume—of the many and layered aspects of women's reproductive health. Part of that acknowledgment includes a recognition (if generally tacit) of the impossibility of separating all white women from all women of color; of separating all economically advantaged women from all economically disadvantaged women, etc. 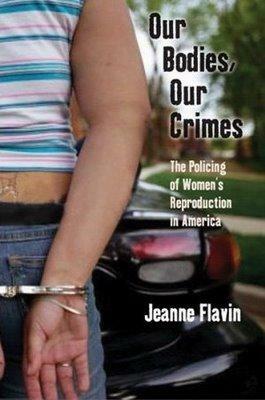 Though not the first volume to explore the breadth of health and social justice issues that must be included in a robust definition of reproductive health, this volume situates itself uniquely within the sphere of criminal justice, and so sets itself apart from some of those other, earlier volumes. That being said, those other, earlier volumes are better written. Although Flavin does an adequate job of recognizing discrepancies in treatment, the conclusions she draws may end up hurting her overall argument because of her faulty reasoning. I lost count of the number of times she employs slippery slope reasoning in an attempt to demonstrate to her reader the self-evident nature of her conclusions. Further, her position is unclear in ways that can be confusing to the reader. She deplores both the medicalization of abortion and its distance from mainstream medical practice—but what does she propose as a viable alternative? Flavin does not have to convince many feminists and advocates of feminism that our concept of reproductive health is not nearly broad nor strong enough to be of great service to most women. Further, arguing that the criminal justice system in America doesn't help with that is not news to many of the same feminists (though her facts and stories are interesting). I worry that her non-feminist critics will throw out the baby with the bathwater of the poor argumentative abilities demonstrated in Our Bodies, Our Crimes.